Take 1 portion a day. Mix a measured amount (2 scoops = 3 tablespoons) with 250 ml of water and drink directly after workout. Take 1 portion a day. Mix a measured amount (2 scoops = 3 tablespoons) with 250 ml of water and drink in the afternoon or in the evening. 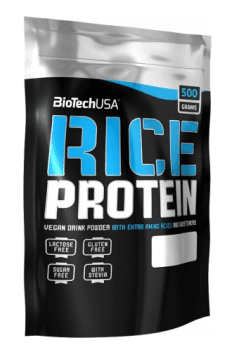 The product provides a large amount of protein and was designed for people who demonstrate increased need for proteins. They are primarily physically active people as well as convalescents and patients worn out by severe diseases. On workout days, the best time to take the supplement is the time directly after workout. On non-workout days, it should be applied in the evening. It may constitute a protein part of the dinner. It will effectively secure the organism from night catabolism.